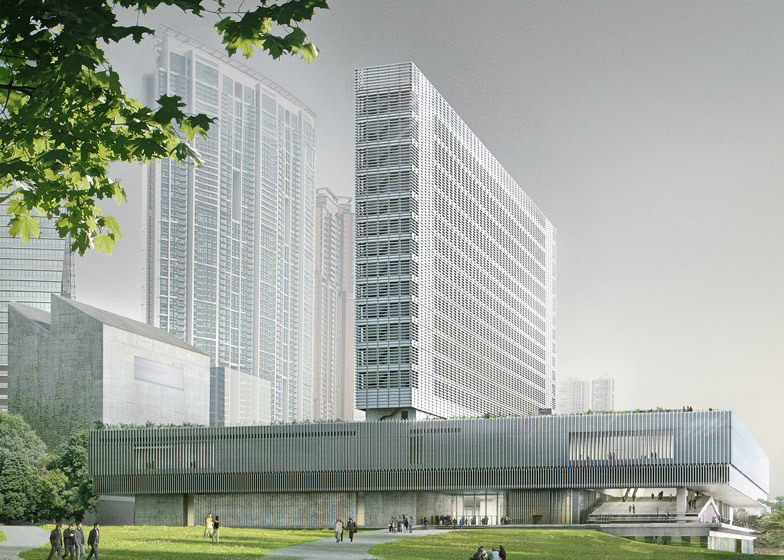 News: Herzog & de Meuron has revealed the latest images of its design for M+, the new museum of visual culture that recently broke ground in Hong Kong's West Kowloon Cultural District (+ slideshow). 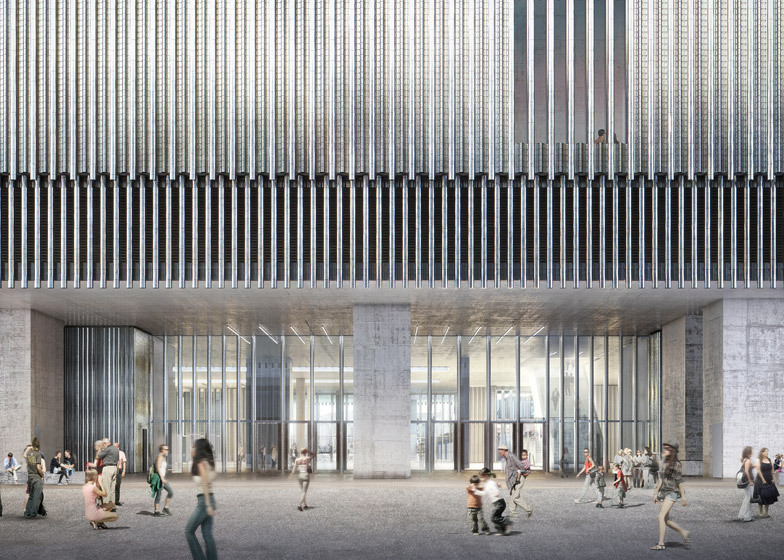 Set to become one of the largest museums of modern and contemporary visual culture in the world, the 60,000-square-metre building will be dedicated to 20th- and 21st-century art, design, architecture and film from Asia and beyond. 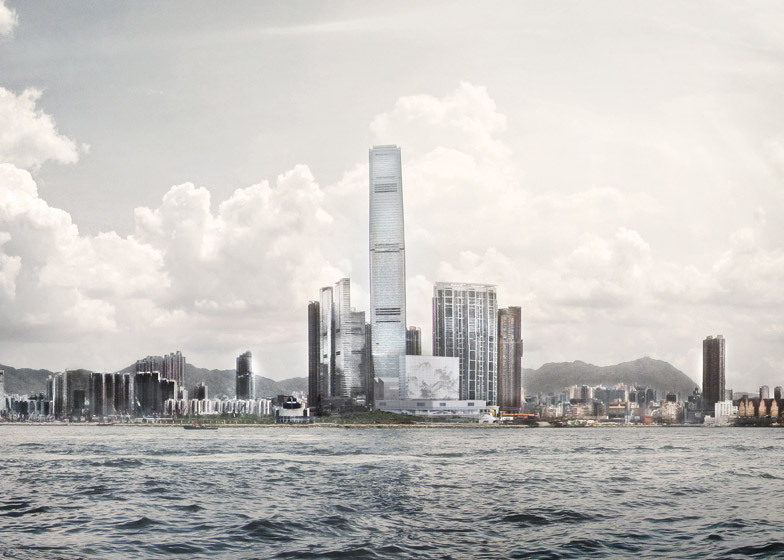 In a recent statement, the Swiss firm said this composition "reiterates the iconic character of Kowloon's skyline", but will also "make M+ a site of constant renewal, rather than being locked into a predefined form". "This is a universal place with an inner organisation whose openness and transparency make it possible to link the complexities of the content and the space in many different ways. Through its specificity, it becomes a distinctive, singular and unmistakable piece of Hong Kong," it said. "Above all, M+ is a public forum, a built platform for the exchange, encounter and activity of people and art." 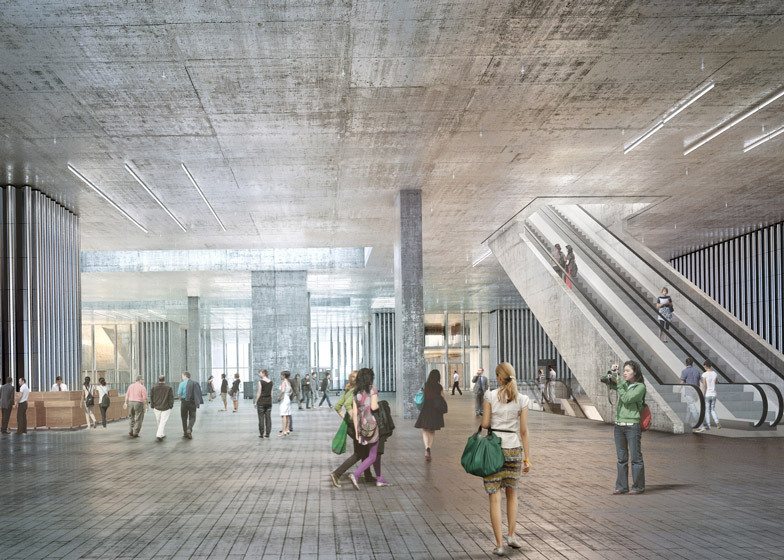 The architects will also uncover an underground tunnel originally built for the city's Airport Express railway, creating an installation and performance area that will be named Found Space. 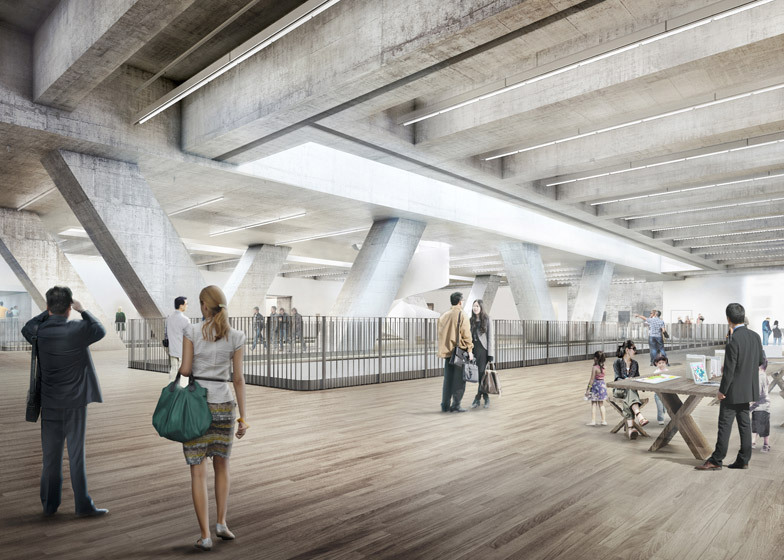 UK firm Farrells is collaborating with Herzog & de Meuron on the project. Located on Hong Kong's Victoria Harbour, it will be one of the first completed projects in the Foster + Partners-planned West Kowloon Cultural District, which envisions 17 cultural venues around a 14-hectare park. A venue for Chinese opera by Bing Thom Architects is also under construction in the district. Herzog & de Meuron won a competition in 2013 to design the building, ahead of a shortlist that also included SANAA, Renzo Piano, Toyo Ito, Snøhetta and Shigeru Ban. The building is due to complete in 2018.